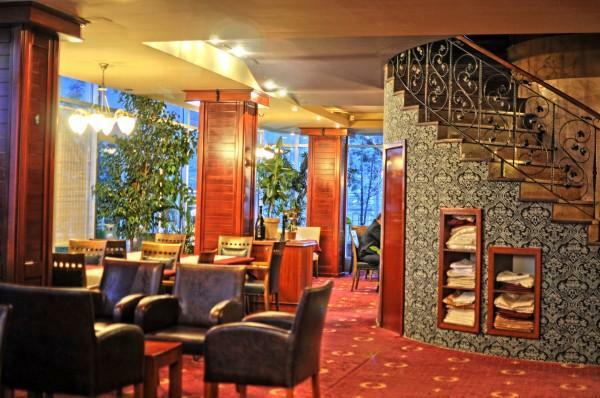 Hotel Semitronix: Located 300 metres from the centre of Peje, Hotel Semitronix offers an a la carte restaurant and a children’s playground. Free Wi-Fi access is available throughout the property. 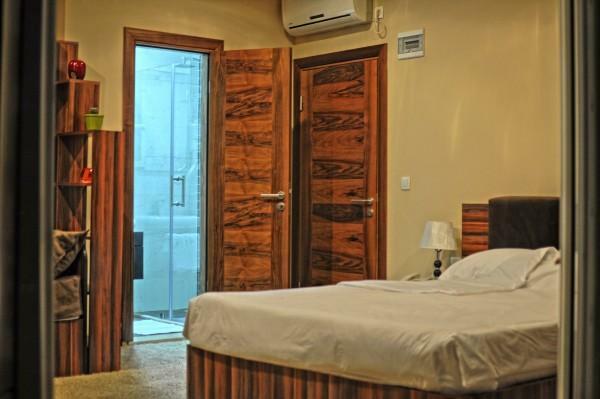 All rooms are air-conditioned and feature a flat-screen cable TV, a sofa and a desk. Featuring a shower, private bathrooms also come with a hairdryer and free toiletries. All the rooms offer a mountain view. 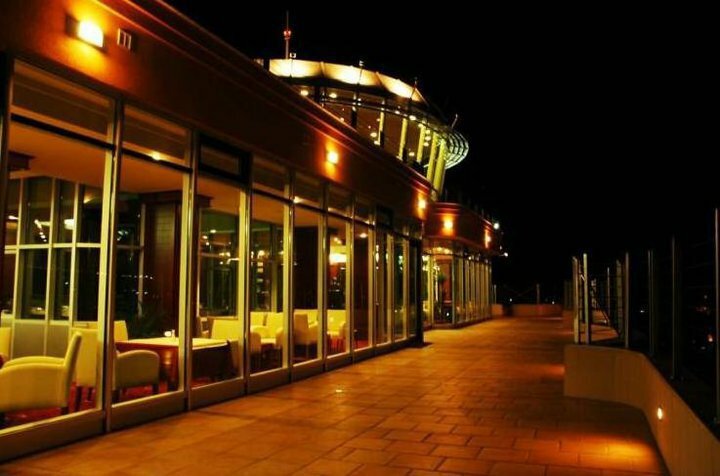 The facilities of Hotel Semitronix also include a bar with a spacious terrace, shops in the hotel and a mini-market on site. A spa centre is 500 metres away. City The Çarshi of Peja is initially mentioned in documents dating from 15th century, explaining it as center of great trading importance. In Çarshi one may see many monuments related to Haxhi Zeka. The Bajrakli Mosque is located at the middle of Çarshia, with the grave of Haxhi Zeka buried in its yard. Following further is the Pasha Stronghold (built by Haxhi Zeka), resembling the strongholds of the 18th and 20th century; a two storey stone made stronghold with huge windows. Along the way, you may see the first school in Albanian language in Peja, built by Haxhi Zeka also. On the same road, along the way one may visit the Hamam Mosque and the Haxhi Bey Hamam; public baths built in 15th century. The small streets along Çarshi, hold small, charming and very old houses, relatively maintained. On the right hand side from Haxhi Zeka school, you may see the old house owned by Begolli family, still preserving the old garret of the house, the roof and carefully engraved wooden decorations, two centuries ago. Some of these houses are under protecting authority; however they can be visited in accordance with the owners, usually being very open for visits. The first mechanized mill in the city is also named Haxhi Zeka Mill, built by Austrians marking the beginning of the industrial era in the city. Regional Museum of Peja, located at Tahir Bey Han (traditional dosshouse), representing old urban houses of the 18th century. Gockaj Stronghold, an 18th century stronghold, currently serves as the Regional Institute for Protection of Cultural and Historical Monuments. Kurshumlia Mosque, another old Mosque built in the 17th century by Merre Hysein Pasha with a characteristic stronghold construction, is located near the Çarshia. Nature The city of Peja is a nice combination nature and architecture, consisting of buildings from the communist period, as well. The city is not so big; therefore it is preferred to go for a walk in its parks. Grand Park, Little Park, Long Cemetery (once cemetery, currently transformed into parks through which River Jazi flows by). After visiting the city, Rugova Gorge is a great walking opportunity, situated north east of the city. On the road in Rugova’s Gorge, at the fifth kilometer, you may visit the Church of Saint Catherine, built between the two World Wars. Further down the road, 300 meters from the church, is the Peja Patriarchate, consisting of several monasteries. The development of the city of Peja, is tightly bond with the past developing periods as an important cultural and political center, dating back in the beginning of the 18th century. 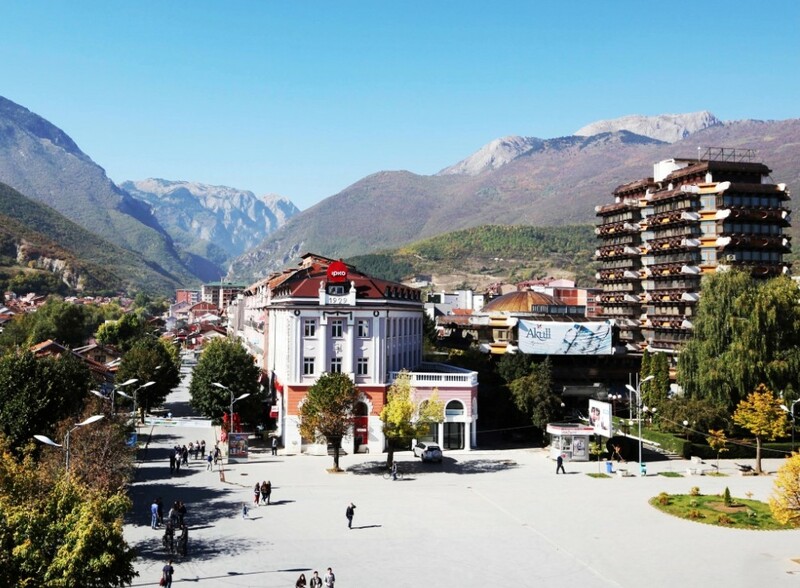 The Peja Çarshi/Long Çarshi (usually old square of cities or towns in Kosova), even though the city has grown eventually, still remains the epicenter and city center of Peja. A large part of handicraft shops have been closed, however there are still some stone-carving shops, blacksmiths and carpenter working. Culture ... History Different ruling systems through the city’s history have left their traces making Peja a place with diverse architecture; from traditional stronghold houses, buildings of Ottoman rule, Austro-Hungarian style buildings, communist period buildings and the newly constructed parts of city, still resembling traditional architecture of the area. Peja has also a lot of water supply, as a result of its surrounding mountains. Drini Bardhë, with its spring in village Radavc, is the biggest river, followed by Lumbardhi being an important water supplier, also. Because of its easy access to sea, throughout history Peja has been an important center of transportation, by horse caravans. It is also known as an important node for handicraft, when in 1582 there were 56 registered craft shops; making it the richest settlement in medieval age. In historical documents, it is also mentioned that the settlement had been once completely effaced by the plague. As a city the settlement is mentioned in 1202, at the time of developed feudalism. The Assembly of Peja (historical event), plays a significant role when the National Movement formed the covenant Besa-Besë, lead by Haxhi Zeka; a citizen of Peja now naming streets and different places in the city. 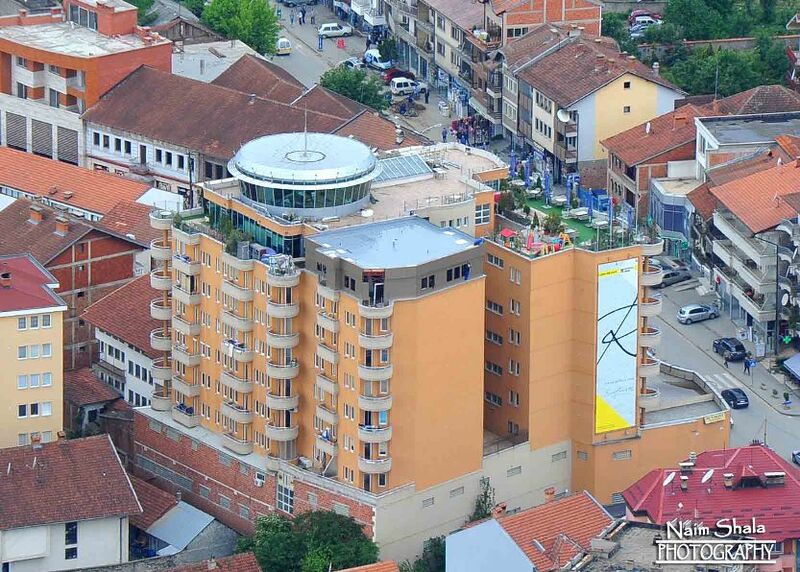 From the geo-morphological point of view, Peja represents an economic entity, wich has nurtured a long lasting tradition throughout its history. About 1215, it is mentioned as a village in Hvosnos Plateu. 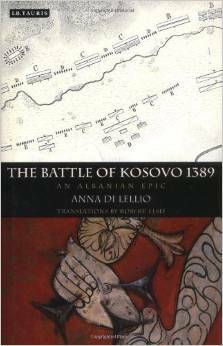 In the XVI- th Century, Peja is mentioned by the Raguzians and Kotorans who would go to Peja for trade-in Pecho, and in 1378 the Caravan” In Novam Montem Pech and Prisren” is also mentioned.